One week ago Derek and I picked up Harry from an organization called Alamo City Pit Bull Rescue and Rehabilitation. Harry is a pit bull. Yes, you read that right. We let a full grown male pit bull into our house and couldn't be happier. Harry has had a rough life. 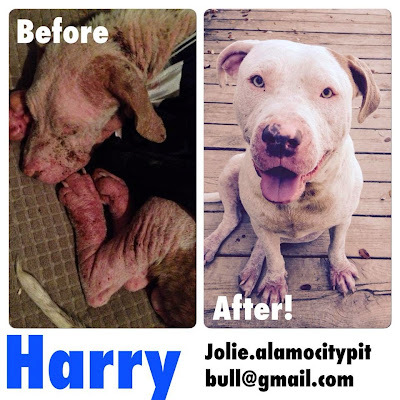 When ACPBRR picked him out of a kill shelter Harry was skin and bones, hairless, bleeding and had pellets stuck in his left side from being shot from a pellet gun. Despite his hard upbringing Harry is the most loving, adorable dog in the world. He jumped right up into our lap and hearts since day one. ACPBRR has saved 419 pit bulls since mid-2013. Their mission is to save the lives of abandoned, abused, misused and unloved Pit Bulls and other bully breed types. They have a great team of fosters and volunteers that put in countless hours to find loving fur-ever homes for this greatly misunderstood breed. How can you help ACPBRR? Let me count the ways! 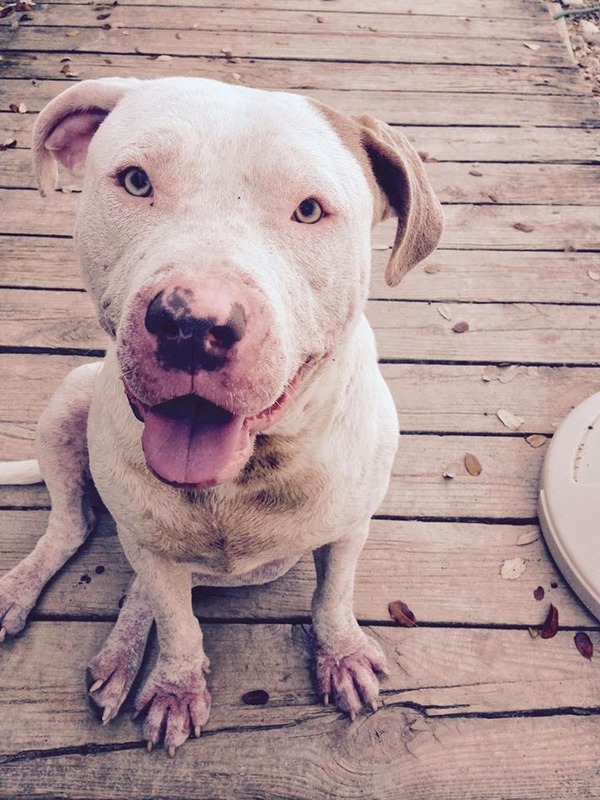 ACPBRR is in need of donations to help with their always growing vet bill. Right now, their bill is at about $5,000 due to multiple unexpected emergencies. Every little bit helps! Donations are tax deductible and can be made by calling the vet directly at 210-647-1101 (under the Alamo City Pit Bull Rescue Account) or on PayPal at donations.alamocitypitbull@gmail.com. Another way to give is by donating during The Big Give SA tomorrow. The Big Give SA is a 24-hour giving period for San Antonio non-profits. For more information on The Big Give please click here. Want to do more? ACPBRR is in constant need of loving homes to adopt or foster these beautiful dogs like Harry. 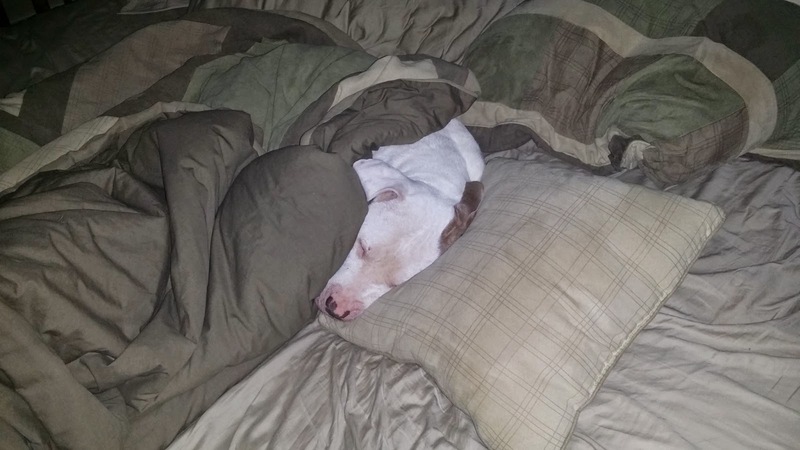 Cant have a pit bull? No worries. You can still help by volunteering at ACPBRR events or provide transportation to events or vet visits. Please stand up and help this wonderful organization I have grown to love. 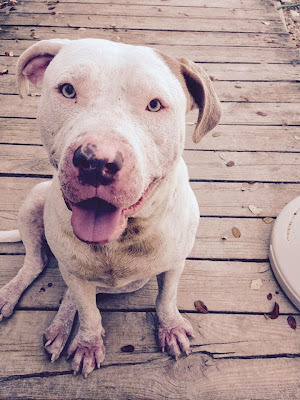 For more info please visit: http://alamocitypitbull.org and "like" ACPBRR on Facebook for updates.